Ever missed the goal 20 feet wide and looked down at your pocket, poking around with it as if it were to blame for your embarrassing whiff? As a Lacrosse player, if you don't know how or why your stick is throwing a certain way, nothing is to blame but you. 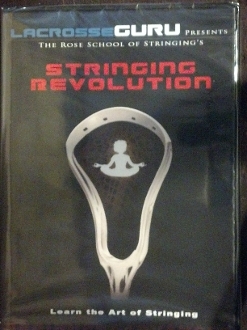 Take control of your game by learning how to build and maintain a pocket that is personalized to your unique playing style in Stringing Revolution, hosted by Rose School of Stringing. The stick is your most important tool on the field and we believe that learning to string your own pocket is a skill of the game every bit as important as skills like passing, shooting and ground balls. Every player should know their stick.